After the Document is checked and all the errors given after Preflight, are corrected, the Document should be exported to print-ready PDF file. 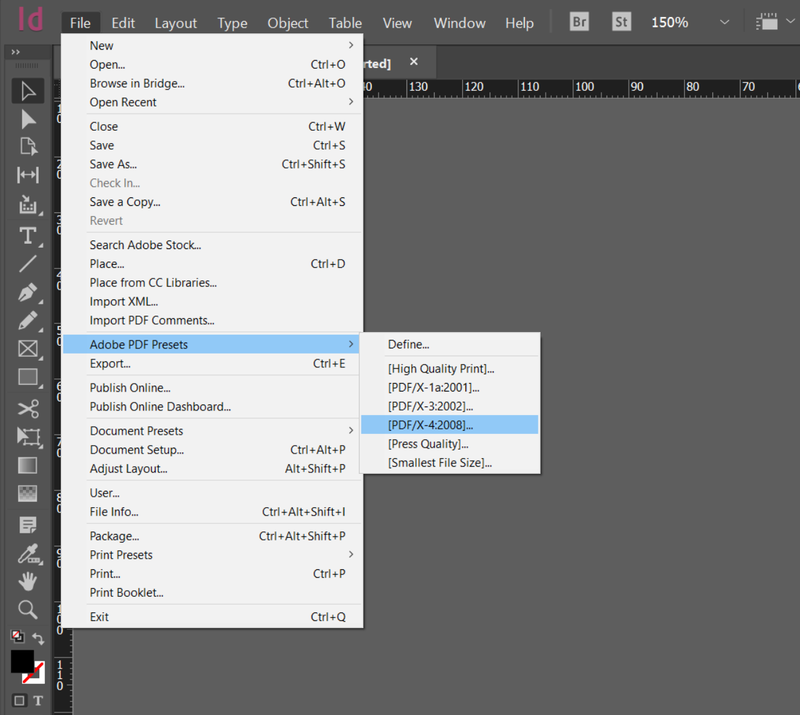 To export the Document choose File → Adobe PDF Presets → [PDF/X-4:2008]... PDF/X-4:2008 standard meets our printing requirements, so no parameters need to be changed. 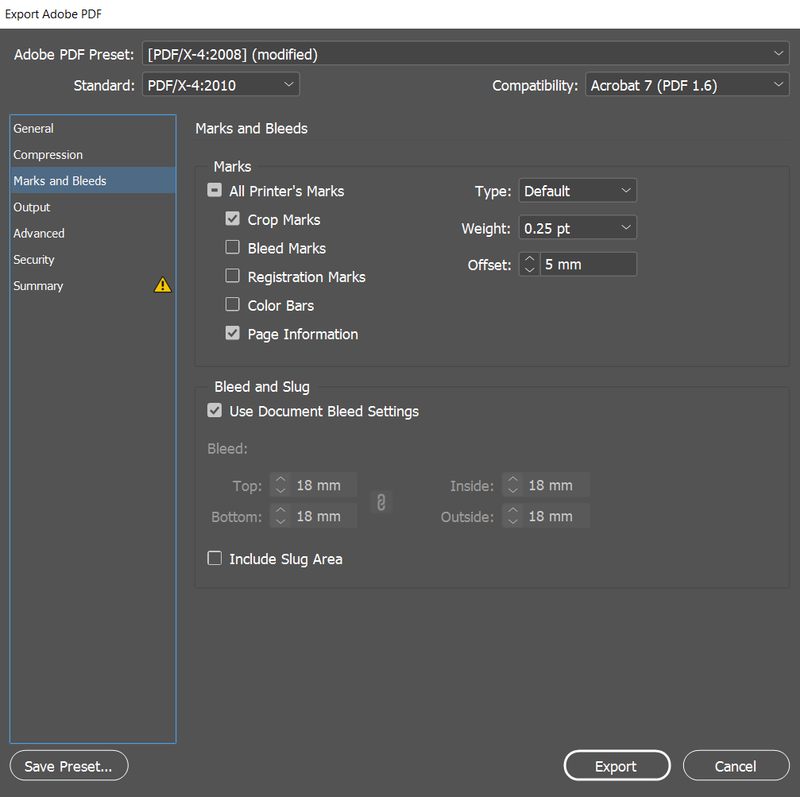 Please only mark Crop Marks, Page Information and Use Document Bleed Settings in the Marks and Bleeds window and set width of bleeds. We recommend to use 5 mm bleeds. Offset must be 5 mm. If the Bleed setting is not set in the document settings, you will see a 0. We recommended to specify Bleed in the Document setting 3-5 mm (to change Bleed parameter in the Document settings go to File→ Document Setup or Ctrl + Alt + P). 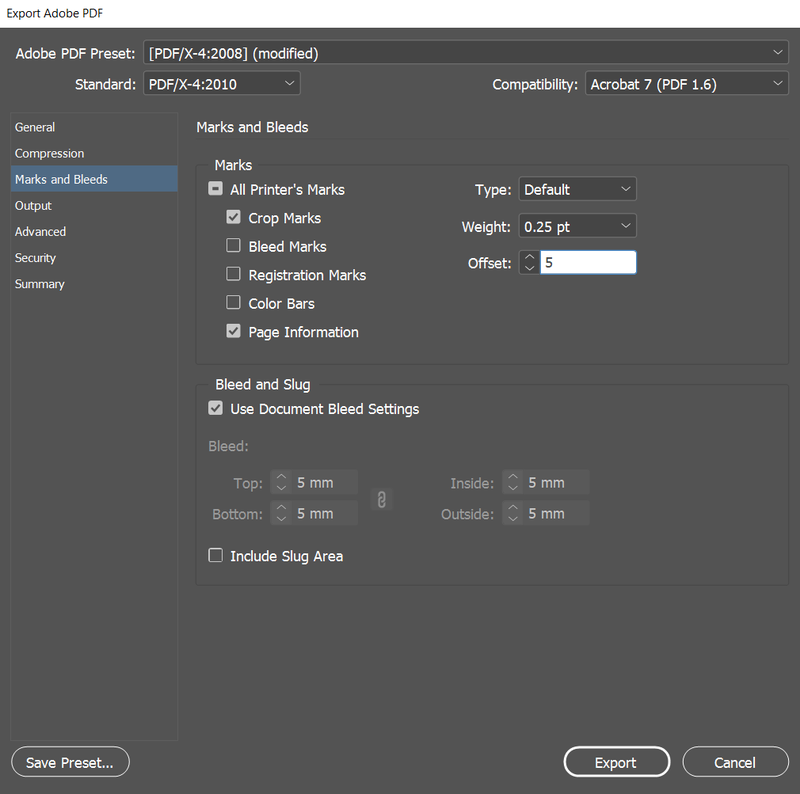 For hard-binding covers the Bleed value must be 18 mm: In the Color Conversion field choose Convert to Destination (Preserve Numbers) and in the Destination field select color profile by the paper you use. 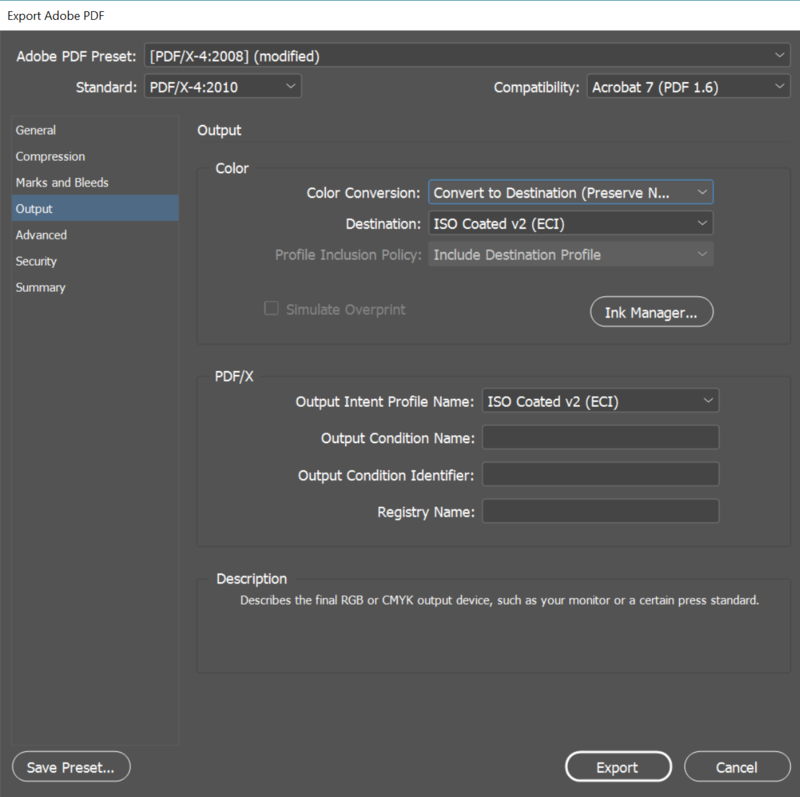 In the PDF/X parameters Output Intent Profile Name field must be selected same profile.